The Korner spirit, is first to reassure you with impeccable basics: a good bed, a nice shower and an amazing breakfast. At the Korner also really want to take the time to get to know each other, share a few moments around a coffee to recommend our favorite places nearby, or just exchange about your stay. We will make you see a different side of a the hotel world, without badges, without uniforms and without prentending to be what we aren’t… We will be your Korner hosts, with a big smile and a real moment of conviviality. In the morning at Korner it is homemade jams, locally sourced products…and of course a great coffee! All this for you at the time YOU feel appropriate! At Korner, we promise you a comfy bed, a great shower and a lot more of surprises in a peaceful and cosy setting. The Korner Hosts are here for you during your entire stay to take good care of you…And always with a big smile of course ! 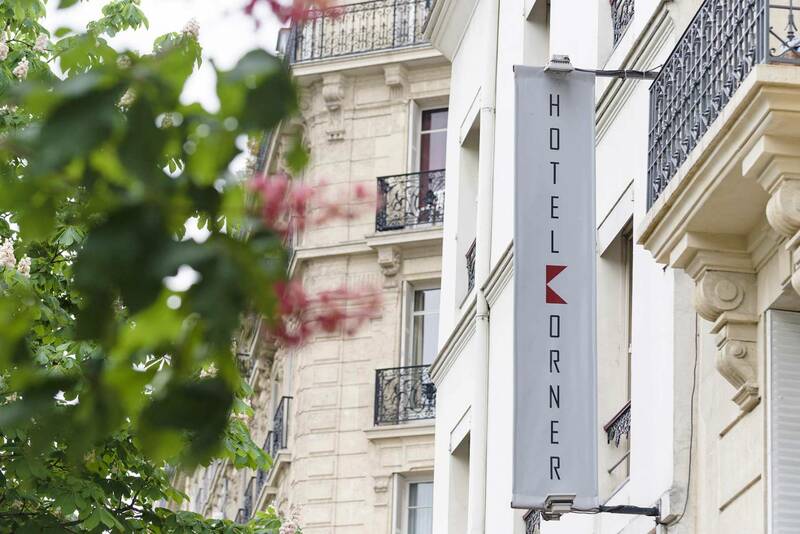 In the heart of Paris the 3 Korner hotels are very well situated whether is it to discover the Eiffel Tower, Opera or the Montparnasse district, we are right there. Everywhere you will find the Korner promises, our famous hosts and many more surprises for a memorable stay!